HomeCompany NewsHappy 19th Anniversary Brenda! Our friendly front desk face Brenda has been with City of Vision for almost 2 decades! If you are a patient with City of Vision, you are guaranteed to have heard her lovely voice when scheduling appointments or seen her smile upon checking in. 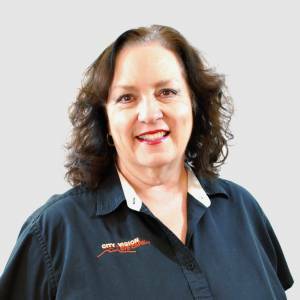 If you are swinging by this week, give Brenda a nice big smile and wish her a happy anniversary! Thank you for your dedication Brenda!